A US-drafted resolution condemning the Palestinian resistance movement Hamas and other Palestinian factions has failed to get the required majority for adoption by the UN General Assembly. This was despite the US “warning” countries which planned to vote against the proposal. The US and Israel exerted a lot of effort in trying to ensure that the resolution was passed because while General Assembly resolutions are non-binding on member states, they are considered to be a barometer of world opinion. 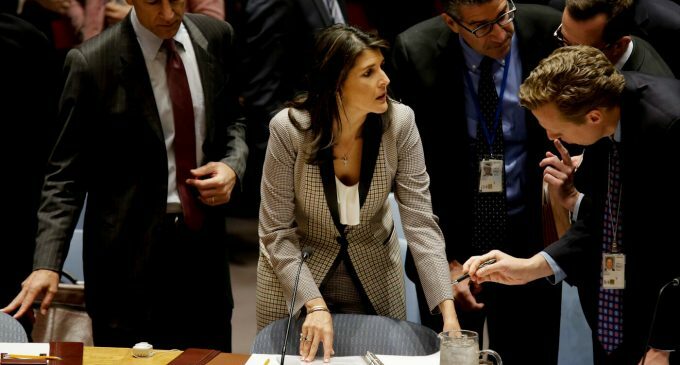 Introducing the resolution, the US Ambassador to the UN, Nikki Haley, appealed for countries to put to one side their different views of the Israel-Palestine conflict and vote for the resolution. At one stage, Haley seemed to be begging member states not to oppose the US text. “The General Assembly has passed over 700 resolutions condemning Israel and not one single resolution condemning Hamas,” she declared. That is arguably more a reflection of Israel’s contempt for international law than a condemnation of the General Assembly. Haley’s efforts were in vain; the resolution fell short of the two-thirds majority needed for it to be adopted. The US-Israel failure at the international forum was a demonstration of all of the Palestinian factions standing together in defense of the legitimate rights of the people of Palestine to resist the Israeli colonial occupation of their land. It was also a common stand against international attempts to undermine those rights, including — as enshrined in international law — the right of resistance against military occupation. Interestingly, the response to the vote revealed the real face of Israeli democracy, which is hostile towards anyone who does not support it blindly, including its colonial occupation and contempt for international laws and conventions. In attempting to justify this, Israel, as usual, has gone on the offensive and played the victim card. In reality, of course, nuclear-armed Israel is far from being the victim in all of this. Its idea of self-defense is to bomb and kill first and maybe, just maybe, ask questions later. That is why Israel’s Ambassador at the UN, resorted to calling legitimate resistance “evil” in his response. “Your silence in the face of evil reveals your true colors,” Danny Danon told the world. This is a man who is on record calling for the leveling of the Gaza Strip and saying that the ruling Likud Party has “no place for anyone supporting a peace agreement with the Palestinians.” Israel’s idea of “truth” (“We will continue to fight for the truth!” tweeted Danon yesterday) is that it regards as an enemy anyone who does not support its killing of Palestinian civilians as they call for the implementation of their legitimate right to return to their land. Such Israelis don’t seem to get it. The UN has passed “700 resolutions” condemning Israel because Israel breaks international law with its colonial policies and aggressive actions against the people of Palestine. If they truly want an end to the conflict — and the views of representatives like Danny Danon suggest that, officially at least, Israelis don’t — then they have to change their policies and stop violating Palestinian rights. Only then will a just peace be possible. That is the truth and significance of the failure of the US-Israel alliance at the UN General Assembly this week. The post The Significance of the US Israel Failure at the UN General Assembly appeared first on MintPress News.